Our first stop in our green beast, (aptly and fairly named Arvan “our van” by our two year old) was Carmathenshire in South West Wales for a stay with Laura’s brother, his wife and their two boys on their recently purchased 16 acre small-holding, Rhiw Draenog or Hedgehog Hill Farm. They had also experienced a similar disillusionment with our human predicament and had been looking into permaculture as a positive solution. They had sold their house in the suburbs of southern England and found a gem of a property in Wales. They were a few steps further along the path than us and were equally nervous/excited/daunted by the prospect of building and creating a life with positive repercussions for the future. We were lucky enough to camp in their garden (house paddock) for a month and get used to our new living conditions. This initial part was particularly hard due to the fact it was such a large change, Fionn was in Herefordshire for the first 10 days, and our little girl making regular complaints along the lines of “Tweety birds, no! 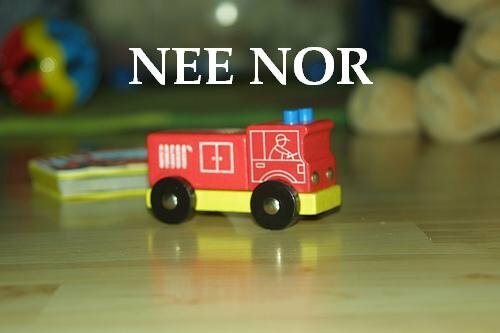 Where are the Nee-Nors? !” making things rather challenging for Laura. But gradually as we began seeing the direct results of working together as an extended family the initial awkwardness faded. This short period became a great learning experience for all involved, as Laura’s brother’s family had only recently moved into their current house (with no windows! ), we had the fortuitous opportunity of learning some of the baby steps phase together. Once Laura’s brother’s two boys took our little lady under their wing, showed her the best hiding places in the long grass, got stuck into some of the hard graft, gave her ride-arounds on their toy tractors and most importantly showed her where to source the blackberrys, things became a great deal easier, and the familial re-wilding came into it’s own. In the process of building a cob oven, coppicing a great deal of Hazel, mulching even more Monkey Puzzles, swimming in their little stream umpteen times among many other things, we would often get far too excited about how things should be implemented and slowly came to understand that everyone needs to make their own decisions and their own mistakes in their own time. Since leaving we’ve been able to see and have begun to comprehend how ideas, like those at Hedgehog Hill Farm, can develop into future masterpieces regardless of what anyone else says, against the current, against all nay sayers. With this seed of inspiration and optimism we set off for Cornwall. We had volunteered to help out at on an organic farm whilst they ran a Permaculture Design Course. This experience couldn’t have been richer and more engaging. The venue – Keveral Organic Farming Community, the people – beautiful, intelligent, open, endlessly inquisitive, and the subject matter were everything we were hoping for and more. We felt we had found our tribe. This experience took us to some places that were on our lengthy list of ‘places to see that inspire’, including Martin Crawford’s forest garden at the Schumacher College and the Land Matters Cooperative. It also gave us direct experience in foraging (not just for a few bits but near on entire meals), woodcraft, mushroom cultivation, and other basic survival skills that have left an indelible mark. We also had the great pleasure of being able to sit in on lessons, when not preparing food, from some of the best teachers the UK has to offer. We’ve been able to keep in touch with many of these beautiful people since this time and we’re not surprised but are very pleased to see and know that we’re all applying ourselves as best we can to various projects all over the world. Such a special moment in time for us and our little family, one not soon to be forgot. All this and the summer was just beginning.